I've been keeping my style really simple lately. It has been so hot it's impossible to dress any differently. Even a maxi dress is cutting it close. But a dress is only one piece. And it is so hot and I am so busy forming beads of sweat in all my folds.. I can't really think about matching anything. 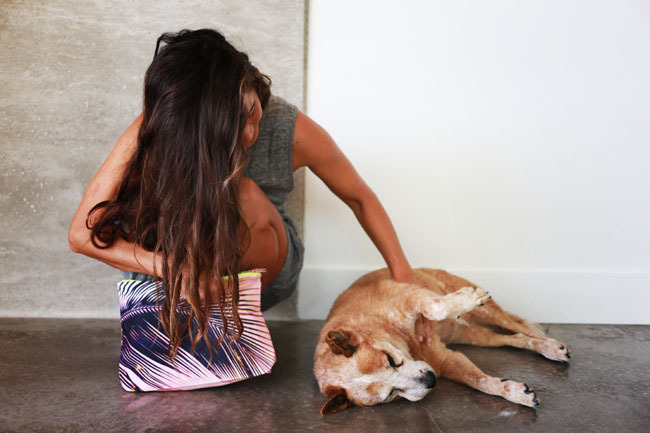 Accessorizing with a fun new Samudra pouch, and that's all she wrote. No frills. Nothing too fancy. So for now, I'm keeping' it real simple.